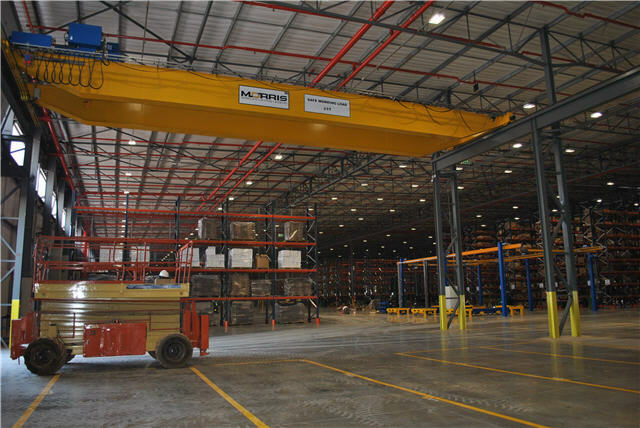 Morris Cranes, a Division of Morris Material Handling SA (Pty) Ltd, a wholly owned South African company and the Sub – Saharan agent of ABUS Kransysteme GmbH has supplied and installed lifting equipment at Caterpillar (www.caterpillar.com) in Kempton Park, Johannesburg. For more than 90 years, Caterpillar Inc. has been making sustainable progress possible and driving positive change on every continent. The company principally operates through its three product segments – Construction Industries, Resource Industries and Energy & Transportation. 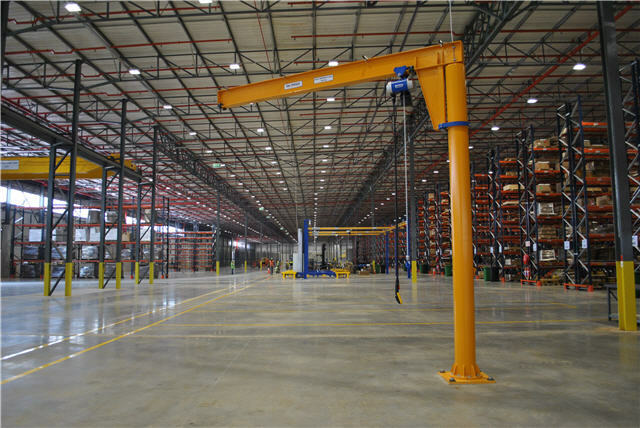 Morris Material Handling SA (Pty) Ltd and ABUS are honored to be associated with the success story of Caterpillar at their new 56 000m2 workshop in Johannesburg. With approximately 15,000 Caterpillar and Cat dealer employees in Africa, the investment is in the replacement parts distribution centre and is part of a broader plan to grow their operations in Africa. 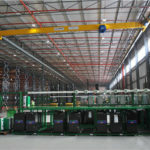 The following equipment was supplied in 2 phases. 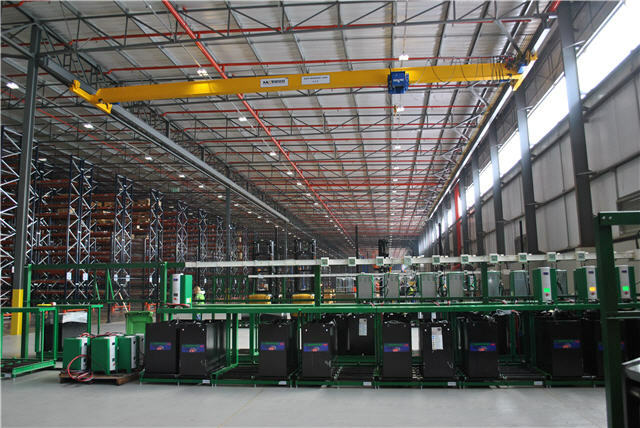 Phase 1 consists of one VS type ABUS Pillar mounted Jib crane SWL 2 ton, 5m reach with a 4.4m height of lift situated outside the warehouse for loading purposes for lifting of heavy machine parts . 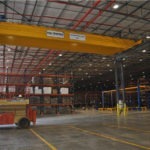 Inside the warehouse, an ABUS ZLK Double Girder Crane, SWL 25 tons, 13.3m span, 7.57m height of lift was erected and commissioned for use in loading medium weight Caterpillar equipment. 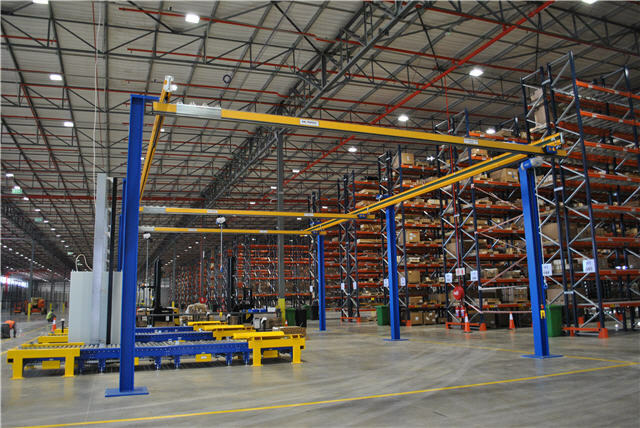 An ABUS Single Girder EDK Underslung Crane, SWL 2.5 tons, 16.500m span, 8.44m height of lift was erected and designed for use in the forklift battery bay/ heavy quality bay area. 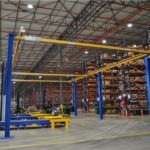 In phase 2, Morris was approached by Caterpillar to supply and install 3 HB Lifting systems all having a SWL of 0.3 with a 4m height of lift with spans of 8.055, 8.8m and 8.058m respectively for the sorting and loading of Caterpillars spare machinery parts along gravity conveyors which are then collected by a forklift and transported to the storage shelves within the warehouse. 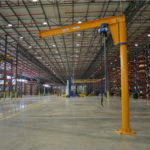 One Pilar jib crane was erected with a SWL 0.3 tons, 4m span with a 4m height of lift for lifting and loading spares in the yard area. Morris and ABUS wish the Caterpillar team great success with their new distribution centre .With their passion for product development Caterpillar will continue to offer world-class products, services and solutions to the industry, while simultaneously boosting the infrastructure development and skills training capabilities necessary in African countries for them to continue their rise in global competitiveness.